Jason Momoa’s blockbuster Aquaman is currently racking up ticket sales at the box office, but he clearly hasn’t let fame go to his head. 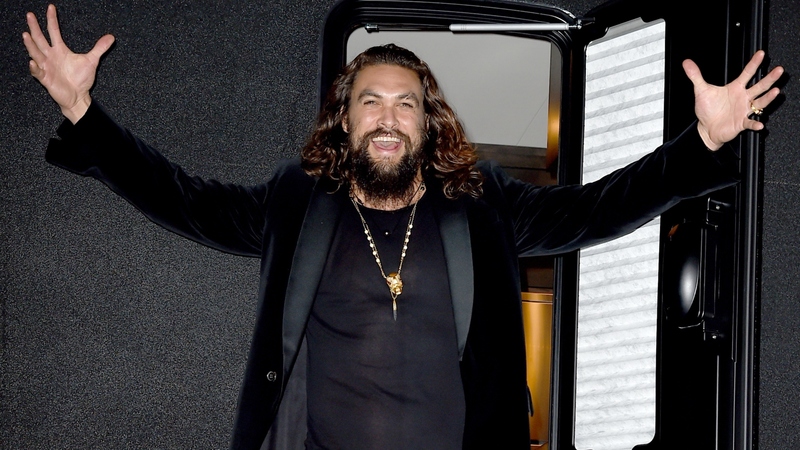 When he got the opportunity to meet Julia Roberts Thursday at The Late Late Show With James Corden, Momoa did what any of us would have done — geek out. Momoa brought his mom, Coni, along to the taping, and the two posed for pictures with Roberts. Admittedly, Momoa explained on Instagram, they were both starstruck. “Took me MA to see @j_corden. Meet the legend @juliaroberts the momoaz geeked out a lil,” Momoa captioned a series of three photos he and Coni took with Roberts. Not surprisingly, the crowd adored the entire exchange, which was made all the more comical by Corden constantly fanboying over Momoa. Corden also praised another major Momoa moment from the week. At the at the Aquaman premiere on Thursday night, Momoa performed a ceremonial haka — a dance or challenge in the Maori culture. Momoa performed the haka with fellow cast members from Aquaman, like Temuera Morrison, a New Zealand native who plays the father of Momoa’s character in the film. The troupe also included two very special performers: Momoa’s children with wife Lisa Bonet, 11-year-old Lola and 9-year-old Nakoa-Wolf. This isn’t the first time Momoa has made headlines for performing the haka. In a video that surfaced after his stint on Game of Thrones as Dothraki warrior Khal Drogo, it was revealed that Momoa performed the dance as part of his audition. Aquaman, which hits theaters Dec. 21, sees Momoa reprise his Justice League role as half-human, half-Atlantean superhero Arthur Curry.